Many years ago I read Varina Davis’s autobiography. 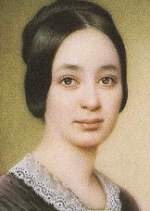 Varina Banks Howell Davis is better known as Mrs. Jefferson Davis, wife of Jefferson Davis. He was the President of the Confederacy during the American Civil War. Even twenty years after reading her autobiography, there are two things about that book which still stay with me. The first is that she enjoyed taking month long summer holidays each year in Port Colborne, Ontario. Port Colborne is right on the shore of Lake Erie and is known for the cool breezes that blow in from the lake. It is also about a half an hour’s drive from where I live. I’m sure these cooling breezes were a refuge from the unmerciful summer heat of the southern states. No doubt that is why she sought them out. For someone who does not eagerly seek out, or willingly submit to “small talk” conversation, this term wafted over me very much like the cooling breezes that blow through Port Colborne. For those who are curious about the context in which she used this term, she was referring to the state of her friendships among her circle of friends once the Civil War began to go badly for the south. In the last two years of the war, not hearing from her friends anymore, she understood well the toll that politics had taken on her personal relationships. Refusing to think ill of anyone, she conveyed to all that she will continue to observe the graceful silence between them all, until the politics of war is resolved. I believe that truly good friends as well as family, know well on how to observe this graceful silence. They need not fear the end of a relationship because of a simple and most innocent pause in conversation. Loved ones know that continual and idle banter does not validate a true relationship. A good friend always knows that their comrades are always… somewhere, out there.